The 200-004 is a Rotary Coaxial Cable Stripper. The 200-004 strips coax cable RG3C2V up to RG62. This stripper is a 2-blade model stripper. All 200-004 Strippers are constructed from ABS plastic, which provides strength and longevity. This coax stripper has an overall length 3.9". 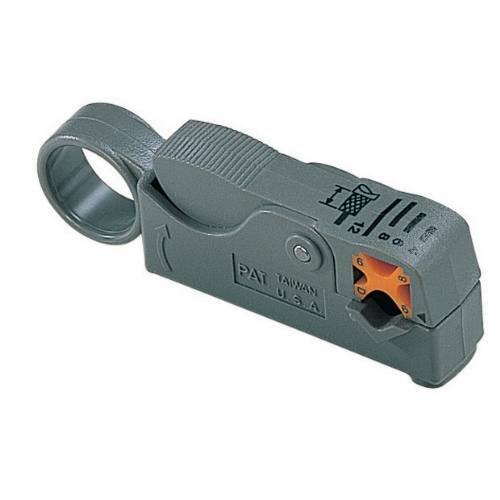 The Rotary Coaxial Cable Stripper is RoHS compliant.